Your digital communication is a key part of your brand and engagement. Get up and running quickly with curated content templates and best practices to get you off the ground quickly yet allow you to evolve and refine your messaging over time. We live in a digital world, and your online brand needs to make an impact. 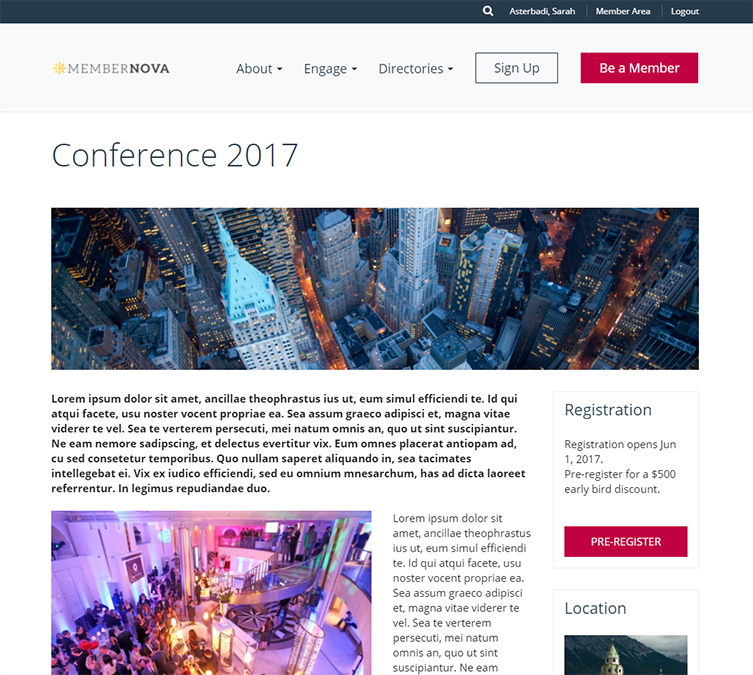 With modern website layouts and pre-designed templates, you can instantly elevate your look without the need for a team of designers and engineers. Whether it's an email campaign, event invitation, newsletter, landing page or blog entry, you need to ensure your communication looks great across every device and phone. Publish relevant and engaging content with tools that speed up creation, keep formatting consistent, and make it easy to optimize for search. Categorize your blog posts with tags. Build engagement by enabling commenting, likes and replies. Give your members the ultimate experience by knowing exactly what makes them tick. Intelligent, real-time segmentation gives you the power to define the exact parameters you want to target. When you can instantly tap into your AMS' fields along with event, discussions, groups and more, the sky's the limit. Increase open rates and engagement by tailoring your emails to the individual recipient with merge fields. Use personalized information to create compelling subject lines and content. Insert dynamic content such as upcoming events, sponsors, blog articles, that auto-update throughout your website and email campaigns for maximum reach with zero additional effort. Set up email sequences such as a welcome series for new members or prospective members to keep them engaged and ready to take action. Or, trigger specific emails base on member behavior. Know what’s working with statistics on deliverability, open rates, bounced/blocked email addresses and email performance analytics. Not all emails are created equally, and different email clients and devices vary in how they show your email. Our templates are tested to render beautifully on 70+ email clients across multiple browsers and devices. 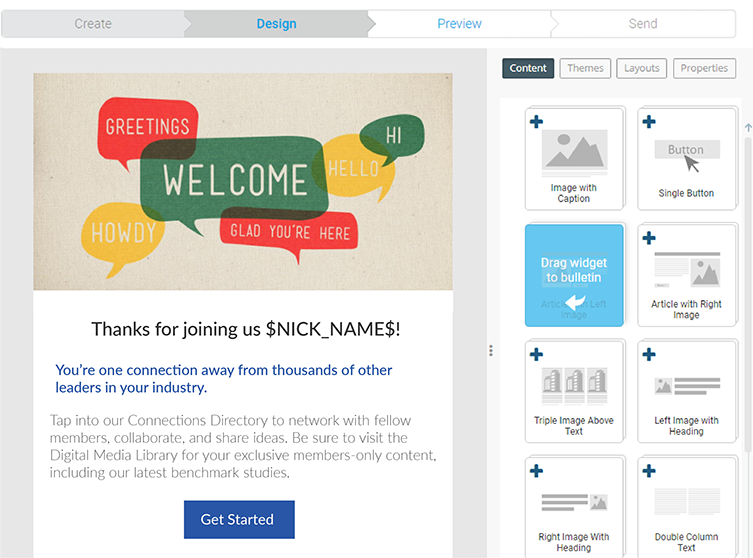 Select from ready-to-use templates or create your own design and keep your communication looking professional. Design real-time segments that dynamically update all your lists on demand. Your website needs to reflect your unique brand in a modern, mobile-first design. 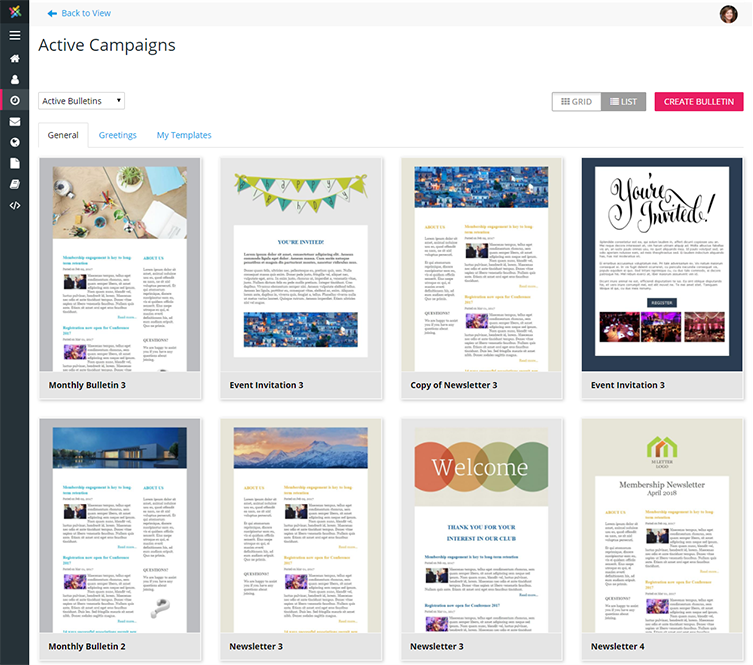 Create your own branded page and email templates to standardize your your brand messaging. Publish and manage all your public and private events with an intuitive interface for your members.